Featured Speaker: William B. Young, M.D. 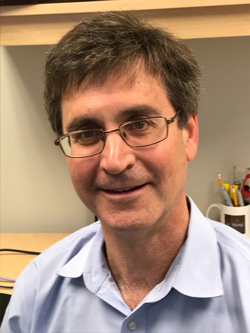 Dr. Young is the Director of the Inpatient Program at Jefferson Headache Center, and one of the leading migraine clinicians and researchers in the world. 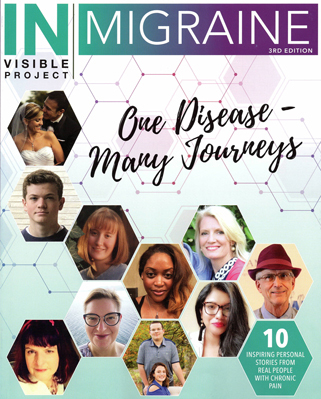 In addition, Dr. Young is a passionate headache advocate and a founder and physician-advisor of the Coalition for Headache and Migraine Patients (CHAMP). 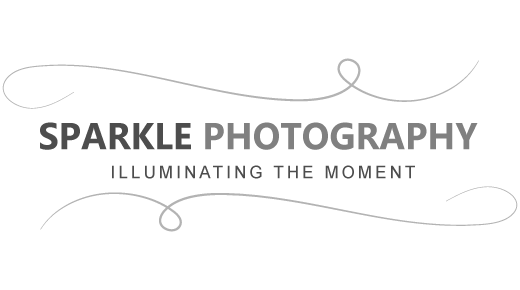 Shine Her Light is partnering with the U.S. 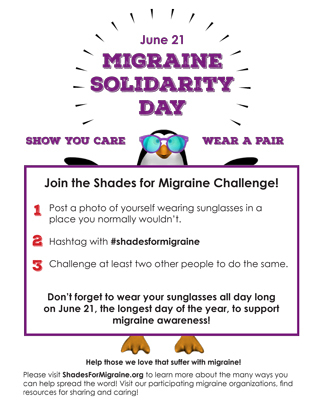 Pain Foundation to present the 3rd annual Migraine Edition of the INvisible Project and the Association of Migraine Disorders “Shades for Migraine” worldwide campaign to promote migraine awareness. No Limits is one of the most sought-after party cover bands on the planet! 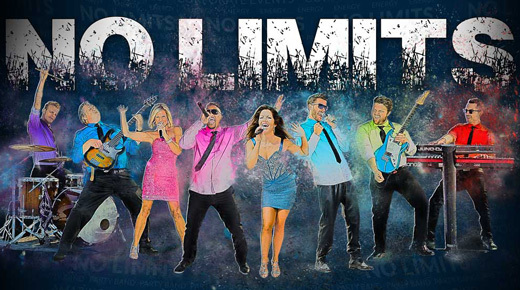 No Limits has performed for the most high-profile events in the world, shared the stage with notable artists such as Goo Goo Dolls, Foo Fighters, Dierks Bentley, Harry Connick, Jr., All 4 One, Diamond Rio, Stevie Wonder, and many others, as well as played in the most prestigious clubs and venues including Mar-a-Lago Bay Club, Fisher Island, the Omnia Night Club in Vegas, and traveled to foreign lands including Mexico, Bahamas, Dominican Republic, and Guatemala.